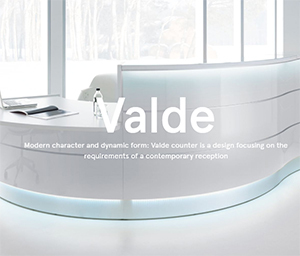 Straight reception desks from the Valde range with stunning high gloss coloured fronts and integral LED lighting under the countertop and plinth. 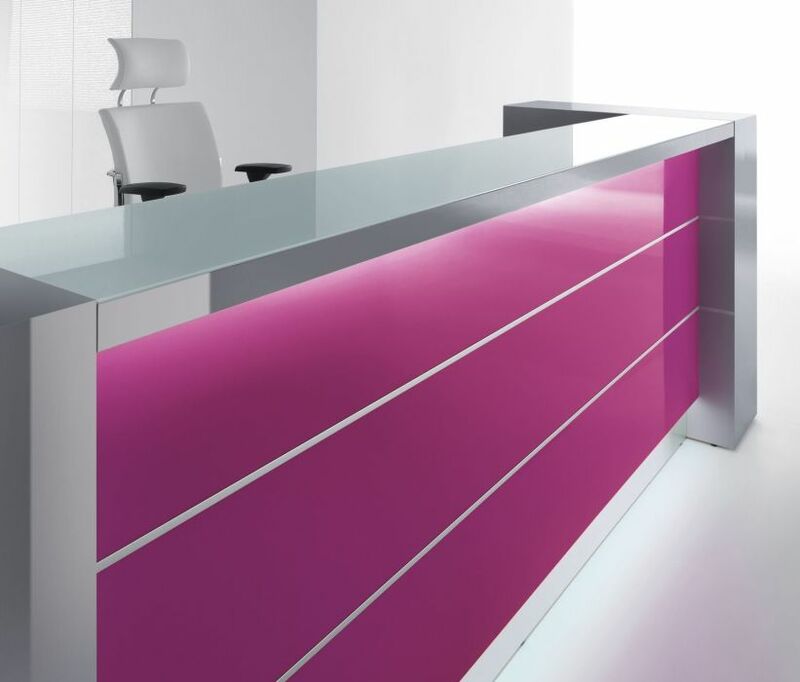 Manufactured in Europe for a 4-6 week lead time. 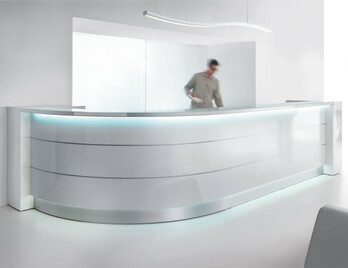 Designer reception desks manufactured in Europe to a high specification. These reception desks are available for delivery to most areas in four to five weeks. 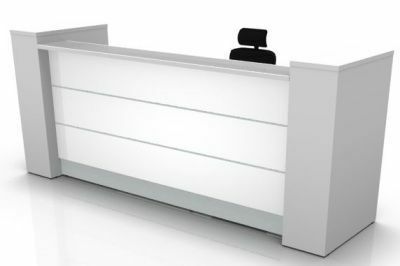 This reception desk range is supported by our free design and layout service, please call our design team for further information. 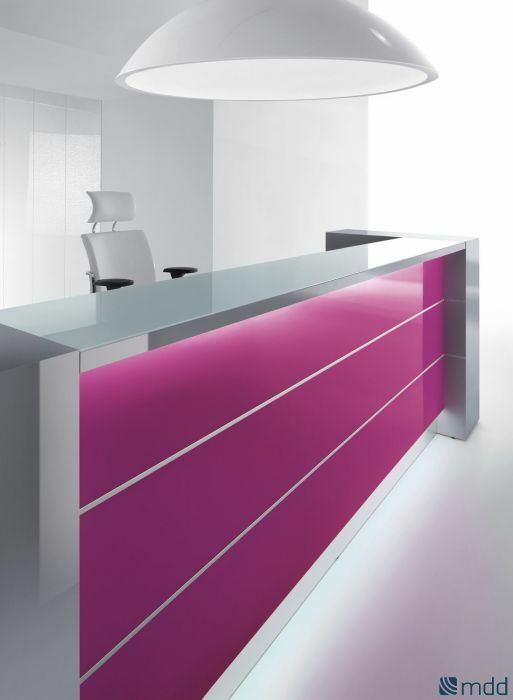 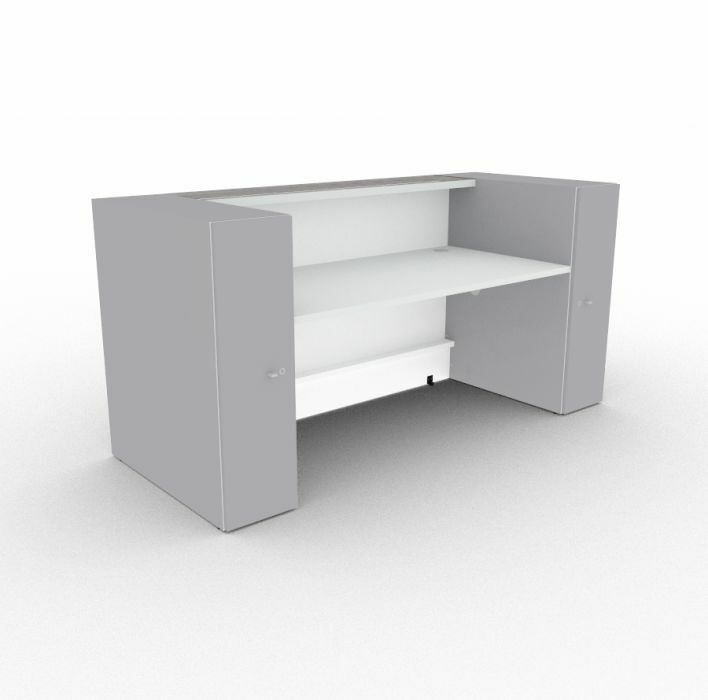 Available in a combination of high gloss lime, white, lilac or orange fronts with white or chestnut surrounds, these desks also have optional LED lights in plinth and under the counter to further enhance and give a great overall visual appeal. 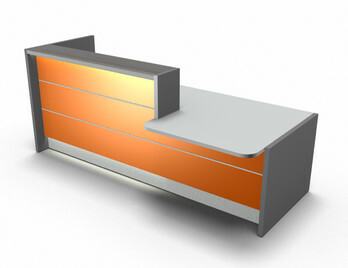 The desk that is illustrated comes with orange fronts, white surrounds and LED illumination and is delivered free to any UK mainland address, straight from the factory in Europe.